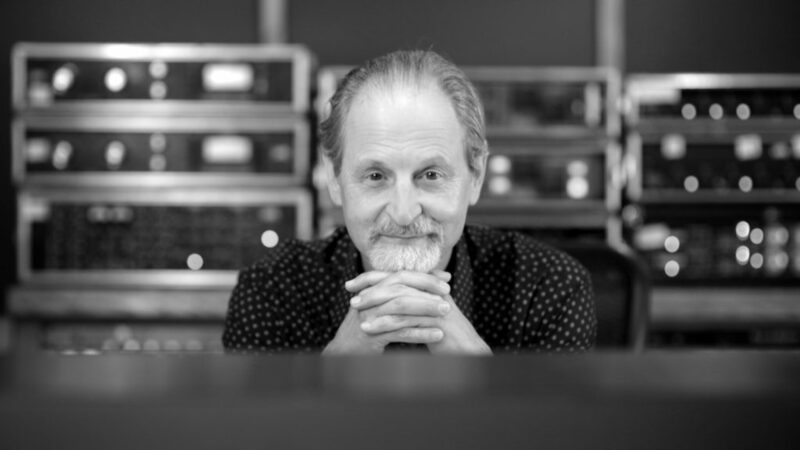 In the world of both pro audio and music engineering, Eddie Kramer’s name is one of legend. 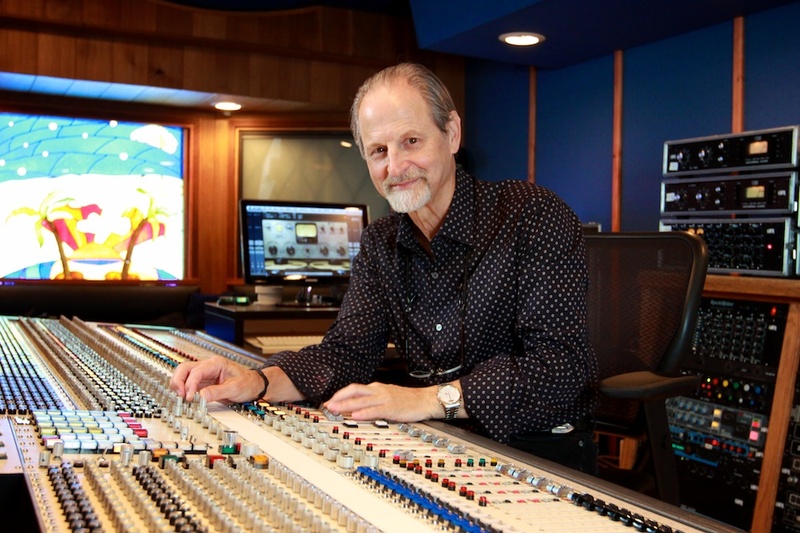 Having been the engineer that captured Jimi Hendrix’s material, as well as some acclaimed releases by Led Zeppelin, The Beatles and The Rolling Stones, he’s been around for a while, and continues to have a hand in engineering music by today’s artists. I had a quick Skype call with him not too long ago, and asked some questions about Jimi Hendrix, and how he does his work. What’s the story behind the “Band Of Gypsys” live album? I’ve always wanted to know how that came about. The history behind that album isn’t something everybody knows about. A former manager of Jimi’s, called Ed Chalpin, had gotten Jimi to sign a contract with Capitol Records in 1966, and the dispute was only recently been resolved. It allowed Chalpin to put out crap music that Jimi was playing on as a session musician. Also, because of that sample contract, Chalpin said to him “You owe Capitol an album“. So Jimi put together Band Of Gypsys, and recorded that album. At the same time, Jimi liked his band, The Experience, but wanted to do something different. Buddy Miles was a friend of his at the time; he made Jimi laugh a lot, and was also the best RnB/funk drummer around. When he sat on the groove, it never moved. That straight groove of his allowed Jimi and Billy Cox do be experimental and do other things..
Jimi had been rehearsing the album for 2 weeks at Baggy’s Studios, leading up to Woodstock. Following that, they performed 4 shows over a 2-day period at the Filmore East. But right after the record came out, Jimi realized that the band wasn’t what he wanted it to be, because Buddy was trying to steal the show. So there became a conflict between them, and things came to an end. You’ve mentioned in past interviews that you recorded Jimi’s vocal whilst he was in the live room. Why did you choose to do that, instead of putting him in the vocal booth? Also, how did you handle doing overdubs? That was just how we recorded in those days, by using the live room. Olympic Studios had a fabulous sounding room, and it just looked cool, so why not record vocals in there? As far as overdubs go, it wasn’t an issue, because the live performance was perfect. You can put anything in afterwards if the original take is everything it needs to be. This is the problem we have today: many bands can’t play. It’s tough. Only a minority of bands can play their music well, and even those ones can’t go in a studio and do it all without mistakes. They want to make it sound perfect through editing in Pro Tools, or in the mix, which is nonsense. Bands like Led Zeppelin, The Rolling Stones and Jimi Hendrix played live. If someone made a mistake, we could comp an intro with a different verse section by cutting the tape. You’ve also said in past interviews that you can record an entire session using just SM57s. Can you explain a bit more about that? You could use worse mics than that. Woodstock was recorded using only SM58s. All of Jimi Hendrix’s initial live recordings were made using SM57s and SM58s, though the occasional condenser mic may have been rarely thrown up. So if you position the mic properly, with the right EQing, anything is possible. It really irritates me that people graduate from audio schools, but can’t even do this. Learning the basics of how to record with only a few mics is something that should be taught be in all audio schools. Also, students should be taught how to record to mono, using one mic, or using a few mics and mixing to mono. Once you know how to do that, you can do anything. It’s not even hard. You use common sense and rely on your teacher. As someone with a deep history of working with guitar players, can you tell me how you perceive the differences between amps, like Vox, Fender vs Marshall? In my mind, all gear has an inherent sound. I love the original Neve consoles, particularly the 1081, because they have 4-band EQs. I like the 1073 as well, which is a bit more transparent. The same goes for amps. All amps sound different, and you have to adapt the amp to the guitar player. Suffice to say, use the amps for their intended tonality. If you’re looking for a glassy, clean, bright sound, the Fender Twin is an option. if you want a sound like Queen, a distorted Vox AC30 works great for that. Your collaboration with Waves has resulted in some widely-used plugins: the Kramer Signature Series, as well as the Tapes, Tubes & Transistors Bundle. Is there a reason they weren’t put together to be one bundle? Yeah, very much. I started with Waves more than 7 years ago. 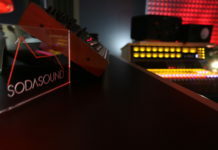 The Signature Series allowed us to show-case some of my sound. The technology at the time was such that we got things to sound pretty decent, but then Waves came to me a few years later and said “We want to make something that sounds like the stuff you used to do in the 60s and 70s“. 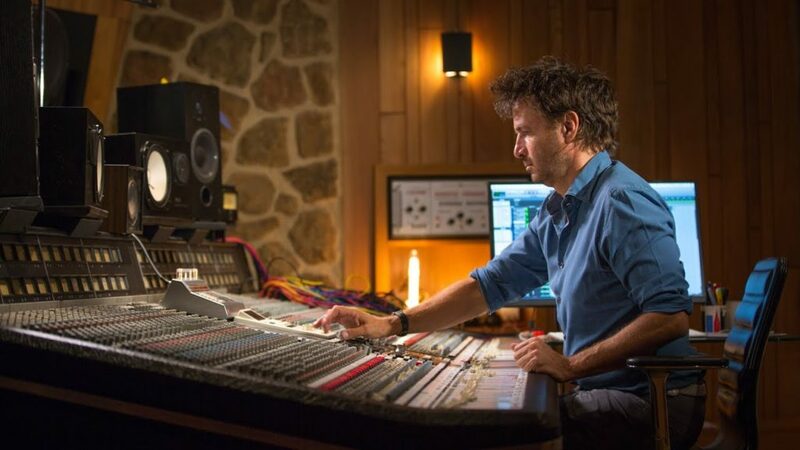 My answer to them was, “Look, if we’re gonna do this properly, then we need three items to get my vintage sound: the PIE compressor, the Helios console and the original Apex tape machine“.The Helios console at Olympic has the most unique pre-amp and EQ in my opinion. Finding an original one wasn’t that hard, but we had to pick amongst the ones we found because they all have slightly different transformers. It probably took Waves six-nine months to find an original PIE compressor, but the tape was the most difficult. We had to find an original reel of tape from 1967, and an original tape machine. Once we found all the gear, it took Waves around 18 months to make the plugin sound like the original tape machine. The tape plugin gets used by a lot of front-of-house guys. They’re using digital boards that sound like crap because their distortion curves flat-line. Analog consoles, on the other hand, feature a gradual distortion curve. They also have more headroom. So a lot of live sound guys end up using my tape plugin to make their live mixes sound more smooth and cool. In that vein of success, should we anticipate more plugin collaborations with Waves? Yeah, we’re always working stuff, though I can’t share any information right now, haha. Can you tell me about what you have brewing for the rest of 2015? I’m close to finishing a Jimi Hendrix live concert album that was recorded at the Atlanta Pop Festival on July 4th, 1970. There’s an artist named Jared Nichols, who’s a blues rock guitar player from Wisconsin. I’m in the middle of working on his album. I recently did Mix With The Masters in France, and we actually used a track of his for our sessions there, which was cool. Another guitar player I’m working with his called Ray Goren. He’s 15 years old, and is a stunning blues player. He’s opened for people like BB King and Buddy Guy. For the past 2 years, I’ve been working on an acoustic version of Jimi Hendrix’s material. We have bands like Shinedown, Jason Mraz, Hearts, Grace Potter, and Rafael Sadik who are covering Jimi’s tracks acoustically. Last question: you’ve worked with a lot of seminal guitarists during the 20th century, yet we haven’t seen your name being attached to the acclaimed guitarists of this century, like John Mayer, Gary Clark Jr and others. Is there any reason why there hasn’t been any work done by you and someone like John Mayer, for example? I know John, and he’s fantastic guitar player. He’s working on an album currently that I’m not involved with. He’s got his own thing going on. We actually met many years ago when he was a student at Berklee, before he became a star, though that’s another story. A lot of artists on his level have their own vision of what they want, and they have labels and managers who get in-between things. Either way, they have my number, and can reach out anytime.